As the number one estate and letting agents in York, we know we can provide you with a service you’re happy with. Our team are ready and determined to assist you every step of your journey, whether your needs are sales or rental. To find our more, get in touch with us today. The average house price in York is around £250,000. Typically, you can buy a nice 2/3 bed property in the city centre for this figure or a nice 3-bed semi detached just outside of the city. Properties in the city range from lovely apartments and Victorian townhouses close to the medieval streets in the centre, to lovely suburban, tree-lined avenues only a mile or so from the centre. There are many larger homes in the area and it is not uncommon for agents in the city to be handling residential properties in excess of £1m. We also have lots of great properties to let in York and know that there is high demand from tenants, so we work really hard to ensure we match tenants with fantastic properties that meet their requirements. The rental market in York is very buoyant at the moment and we work closely with the area's big employers, along with the universities who bring a lot of tenants to the city. This means it’s a great time to invest in rental property as there are lots of investment opportunities for landlords offering safe returns and high capital values. Hunters Estate Agents in York have grown to be one of the largest and most trusted in the area - and we're one of the biggest names in UK property. 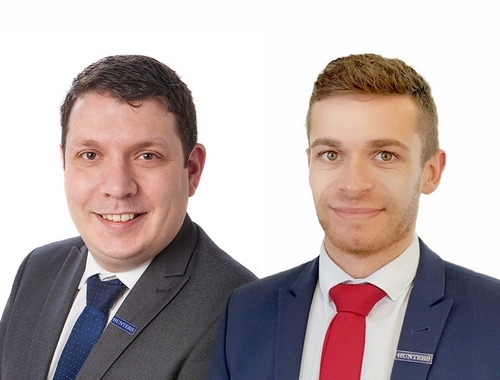 We have a dedicated Accounts and Maintenance department, who are here to support each other to ensure the service provided to you as a landlord, tenant, buyer or seller runs smoothly. Hunters will help you sell your property for a price you’re satisfied with. The selling process begins with a valuation of the property. We can do this in one of two ways (both of which are free). First, you can do it yourself online (it doesn’t take long). Or, you can request an in-person valuation from one of our team. To get started, call us on 01904 621026. We purchased 2 properties in November 2014 and asked Emma and the lettings team at Hunters to market them for us on a tenant find basis for us to manage the lets ourselves once the tenants were established in the houses, From the outset everything was carried out in a professional and very efficient manner.The whole process from photographing the properties to advertising them, interviewing prospective tenants , checking their credibility, organising the deposits and initial rents and setting up direct debits for the rent and even installing the tenants in the property was carried out with total professionalism and constant personal contact with ourselves. We have no hesitation whatsoever in recommending their service. I'd just like to thank you both for the service you offered during the sale of my property. I was impressed that Nicki continued to keep in touch regularly during the period between offer and exchange and I still can't quite believe how smoothly the process went. Every person that I have spoken to, or had dealings with, at Hunters is friendly, efficient, professional and above all incredibly helpful. From my initial discussions with Ian who couldn't have been more helpful, he suggested other properties I might be interested in, he negotiated skillfully and professionally. Steve who took me around the properties was superb, his information was informative and helpful - at no time was anyone 'pushy' or too 'in your face'. I was very impressed at my first meeting with Peter he was very enthusiastic and clearly wanted to help me rent my property. His commitment stood out from the other agents who also wanted our business. We have used Hunters to rent out our house in York and the service has been first rate. The team are highly responsive and very efficient. As we live overseas it is good to know our house is in safe hands. I have used the team at Hunters to let my property for 15 years. They provide a great service for landlords with timely and accurate advice. I have suffered from very few void periods and any issues are dealt with quickly and effectively. Hunters have been great from start to finish in renting out our properties. The team always offer expert advice, regular updates and a professional service that enables the whole process to be stress free. Click to view preferred suppliers for Hunters York. Rob has been with Hunters since 2005 and has risen through the ranks from weekend Sales Negotiator to Sales Manager. Rob and his team have one simple goal, and that is to market your property to the highest standards possible to achieve the best price for you and help your move go smoothly. 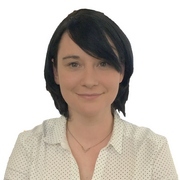 Vanessa joined the York office as a Sales Manager after 2 years working in our Pudsey office. Vanessa has already made a great start with the York team and believes in giving the best service possible. Outside of work Vanessa has a keen interest in Prosecco, she is also a qualified plumber who loves to travel! Sasha has joined Hunters in Autumn 2014 after having lots of previous experience in the retail industry. Sasha makes sure your property goes on the market quickly and easily with the precise detail you require. Sasha was very keen to join Hunters and believes in looking after all our customers to ensure everyone’s happy from the start to the finish. Emma used to be the Deputy Manager of York’s biggest (and only) Dog Creche, which she loved, however she needed a new challenge and a change joined the York Sales team. Emma is originally from Newcastle (North Shields to be exact) and is a big Newcastle United fan, but also enjoys UFC/Boxing, murder mystery books and vindaloos. Rebecca joined Hunters in the summer of 2017 having gained much sales and communication experience in various industries from banking to fireplaces. 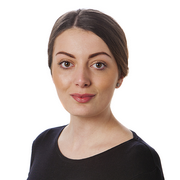 Rebecca is in charge of all of the sales progression for the team, regularly liaising with buyers, sellers and solicitors ensuring a swift and smooth transaction. Rebecca's knowledge of the industry and ability to follow processes and procedures accordingly is fantastic. She is a real asset to the team and is highly thought of by not just her team but the clients she deals with. Steve has been with Hunters since 2004 and is our dedicated accompanied viewer. 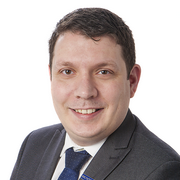 Having worked in various industries previously Steve decided estate agency was right for him due to his passions for property and meeting people, this unrivalled passion for all things property make him the ideal person to meet people and show them around your home. Jennie started with Hunters in October 2014 as a weekend negotiator/accompanied viewer. 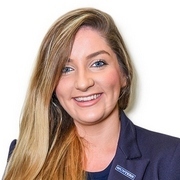 She is a very friendly and committed member of the team who is looking to further her career within the property business once she has completed her education. 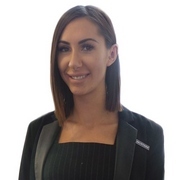 Emma has over 8 years’ experience in the lettings industry, along with a degree in Estate Management from Reading University. Emma started as a lettings negotiator in Hunters Leeds city centre office and eventually moved on to manage the York Lettings office. ‘’York is a lovely City, recently voted the third best city in the UK so it’s a fantastic place to live and work. I enjoy working with our landlords helping them manage their investments. We have a great team here at Apollo House, and we run a very busy and vibrant lettings department. We work very closely with the sales team, as we are here to cater for all our customers’ needs and ensure they receive a fantastic service!" 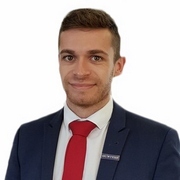 Peter is an ARLA qualified member of the team who joined Hunters in July 2017 and comes with a wealth of Lettings and Property Management experience. 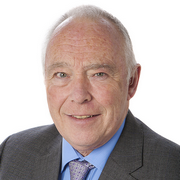 His main role is to oversee the Lettings department, carry out valuations and lead the team to success. Charlotte joined the team in January 2017 and has quickly established herself as a talented negotiator. 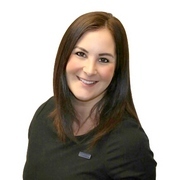 Born and raised in York, Charlotte has extensive knowledge of the local area and is committed to achieving the best results. Charlotte’s proactive approach ensures that void periods are kept to a minimum and that your property is earning its full potential. As a key point of contact for prospective tenants, Charlotte is always keen to deliver a great first impression and works hard to deliver a first-class service. 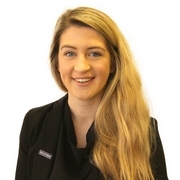 Naomi joined the Lettings Team in May 2018 having previously worked in our Lettings Accounts department. 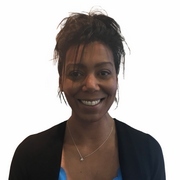 Naomi has already gained a wealth of valuable knowledge of the industry and as a key member of lettings team and is always on hand to help with any Landlord or Tenant queries. She enjoys the diversity of her role and is looking forward to progressing within the Hunters family. This is my first job within the estate agents business and I am looking forward to learning about all aspects of the property sector. I have recently completed my second house renovation which is where my love of property has come from. In my spare time I enjoy walks to the pub with my dog, cycle rides (only when the weather is nice) and a good home cooked meal! Situated within the glorious county of North Yorkshire, York is one of the most beautiful cities in the world, yet has many other attractions including a thriving economy, some of Yorkshire’s best state and private schools and excellent commuter links to London and the North. York lies in the Vale of York, around 20 miles West of Leeds and 40 miles from the East Coast. These are just some of the reasons that make York property for sale & rent so desirable. We have a 5 star hotel, the Cedar Court Grand, some fabulous tourist attractions, The Minster, The National Railway Museum, art galleries, sports clubs, some excellent restaurants such as The Ivy and Star in the city and 365 pubs, once of which, The Pheonix Inn, is probably the best pub in the world! The River Ouse flows through the centre of the city, providing some stunning scenes and gorgeous walks around the city and no visit would be complete without a walk along the city walls. York is also known for one of the most famous and historical streets, The Shambles, which is like a real life Diagon Alley. There is also the new Spark project on Piccadilly which is a new concept with street food & bars where you can sit and relax in a modern urban setting. York also has some high performing schools: Fulford State School, Bootham & St Peters Private School. York is also named winner of Best Places to Live in 2018! Find out the latest property news by following us on our social media.